Many of us opt for organic or local foods to limit the nasty preservatives and chemicals we eat, so why do we rub our faces with lotions full of chemicals that are also in anti-freeze (propylene glycol) and swipe our lips with petrolatum-loaded lip balms that actually dry them out? The answer, according to the two brilliant women behind the website Beauty Lies Truth, is that we shouldn’t. That’s why they are launching a new business called #TruthBeauty that is focused on selling all-natural products made by women-owned companies. For $50, #TruthBeauty will fill a Brooklyn-made BAGGU bag with full-sized products (no tiny samples here) from the likes of S.W. Basics, ILIA and Jane Iredale, to name a few. 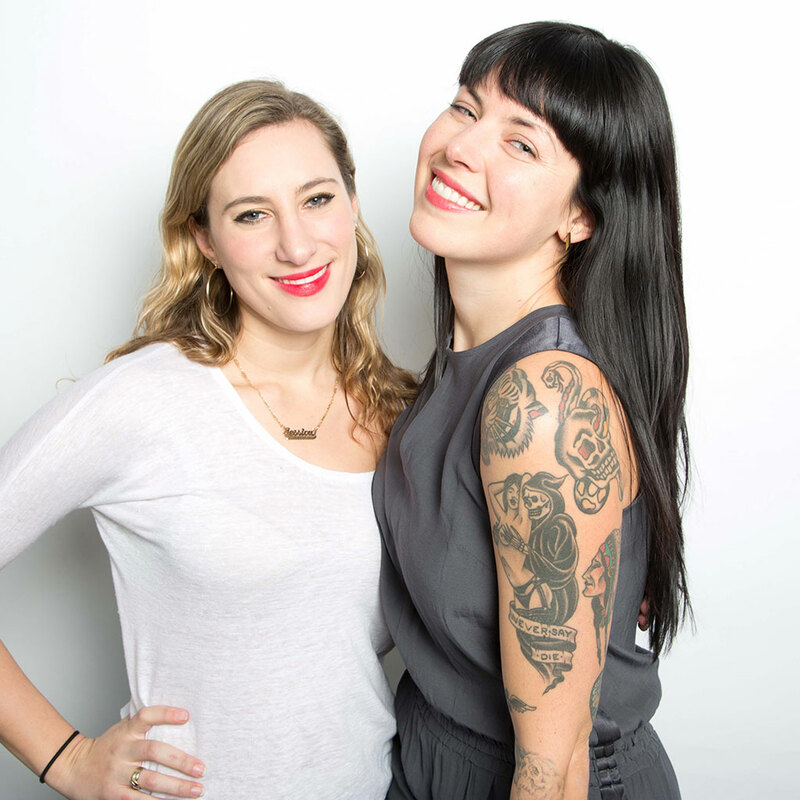 The women behind #TruthBeauty are an unlikely duo. Harvard Business School student Jessica Assaf and Brooklyn-based singer Alexis Krauss of Sleigh Bells first connected when Krauss reached out to Assaf after she found out her exfoliants contained plastic micro-beads. Assaf had been working for years to get the message out about harmful chemicals in cosmetics, and the two bonded over their passion for healthier products. They launched their informative blog, which is loaded with details of the chemicals found in popular products. According to Assaf, "We started to receive so many emails asking for advice on what to buy that we figured we might as well curate the best of the best and get them into everyone’s hands." On March 10, they launched the Kickstarter campaign to get their beauty bags selling. So why isn't everyone jumping at the chance to remove harmful chemicals out of their beauty regimes? "Cost is the biggest hesitation people have when looking to try safe products. It is very rare that someone would say no to a cleaner product that is just as effective if it wasn't for the price," Assaf says. For those still hesitating, Assaf makes a pretty straightforward argument: "Food has an expiration date, but common beauty products don't. You wouldn't eat something that was 10 years old. With all the efforts people are making to eat healthier and change to local and organic foods, the chemicals you are eliminating still exist in your skin care. Beauty products are food for our body, and we should be able to take ownership over what we are putting on it." If you want to give your body some much-needed healthy, natural love, you can contribute to the #TruthBeauty Kickstarter and receive the first bags they send off.